Green coffee in its pure, unroasted form contains high levels of something called chlorogenic acid, which is believed to suppress the appetite, boost the metabolism and may help burn off excess fat. 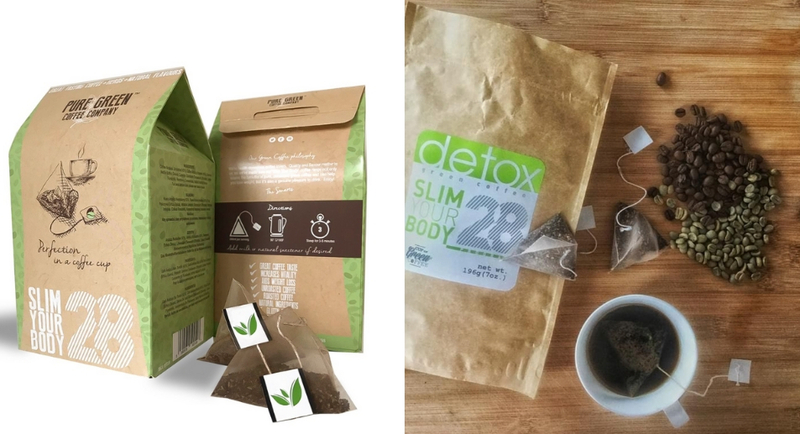 Pure Green Detox Coffee leaves you feeling energised, helps your body detox, aids weight loss and tastes delicious. It is also full of antioxidants and has great hydration properties. 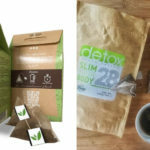 What is in Detox Green Coffee to give such great results? Read more here. • Chlorogenic acid found in green coffee enhances metabolism, decreases glucose absorption in the intestine and helps to reduce high blood pressure. • Common Nettle or Stinging Nettle was used for centuries to boost metabolism. It has certain health benefits, in particular, it helps to remove metabolic wastes and is used in so-called irrigation therapy (for urinary tract infections and inflammation and for kidney stones) as it acts as a natural diuretic. • Common Dandelion is a well-known herb that promotes digestion and balances the natural and beneficial bacteria in your intestines. It is considered to improve liver function by removing toxins and re-establishing hydration and electrolyte balance and to help regulate blood sugar and insulin levels. It is widely recognized that the dandelion plant is rich in antioxidants that should prevent our cells from free-radical damage and slow its ageing process. • Coleus Forskohlii is a herb grown in Nepal, Thailand and India. It was traditionally used in Ayurveda medicine. 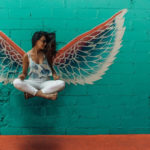 Forskolin increases cellular levels of an enzyme called cAMP (cAMP is an important second messenger necessary for the proper biological response of cells to hormones and other extracellular signals), which also increases rates of fat loss. Forskolin may also have positive effects in the treatment of asthma as it works as a stabiliser of cells that release histamine. • Black (roasted Arabica) coffee, raspberry concentrate and natural vanilla flavour for a truly unique and delicious flavour. Perfection in a coffee bag and available now in store. 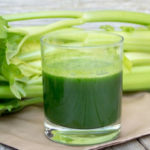 CELERY JUICE, WHAT IS ALL THE HYPE ABOUT?